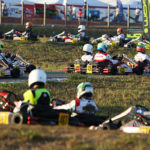 Conde, Brazil, November 28, 2018 – Welcome to the first competitive day of the 19th Rotax MAX Challenge Grand Finals 2018. 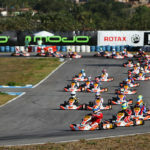 The circuit Internacional Paladino welcomed the drivers and teams to a completely dry track as they arrived on Wednesday. However, the skies told a different story with dark stormy clouds that seemed to promise another day of excitement but also with trepidation as to what strategy they will need to make. 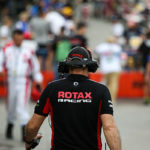 The earliest start time this week so far meant that the drivers would have one final Non-Qualifying Practice before Official Qualifying Practice determined the starting grids for the heats that would take place over the course of this afternoon and all day Thursday. 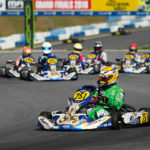 The rain stayed away and each class was able to complete their last Non-Qualifying Practice concentrating on fine tuning the dry set up of the kart and finding every advantage they could on a track that was finally building some rubber. 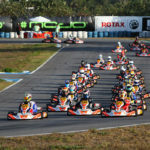 Each competitor would receive a new set of slick tyres that they would use for Official Qualifying and for the rest of competition. 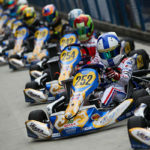 They would now no longer be able to keep the tyres on the kart between sessions as these are kept along with the fuel tanks in Parc Fermé in a controlled environment. 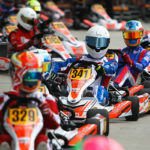 For the classes that have been split into Odd and Even Numbered groups the qualifying results will be the fastest time overall from both sessions combined. 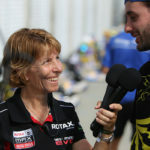 As the Official Qualifying sessions drew closer the sun begun to make its ways through the clouds and the temperature rose to as high as 33 degrees which itself affected the track in terms of rubber being laid down and track temperature. This built interest to whether the track would get faster or slower depending on which group your driver was in. 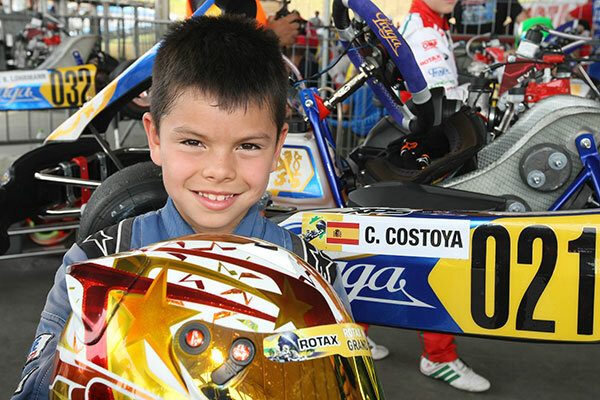 For the first time this week the weather behaved and the track was fully dry for the Micro MAX youngsters and in NQ-Practice 7 we saw a new name top the sheets with Leon Zelenko on a 59.642. This was slower than the fastest time set yesterday but the practice tyres may have just started to loose the edge now they were on their 7th session. Douwe Dedecker and Maksymilian Obst continued their good pace from yesterday sitting in 2nd and 3rd in the group. 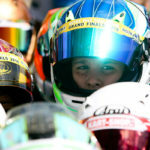 Qualifying – With the track looking like it was building up with rubber from the lack of rain for the first time this week the Youngest drivers of the event took to the track. It was early on Lap 4 that Mitchell Van Dijk got to the top and no one could beat his time of 59.124. Douwe Dedecker (BEL) and Maksymilian Obst (POL) maintained the form they have showed all week by placing 2nd and 3rd both less than 0.15 behind the pole sitter. 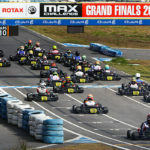 Heat 1 – If the first race of the 2018 Rotax MAX Challenge Grand Finals was anything to go by then we will witness not only amazing competitive racing but some massive highs and also lows for the drivers this week. 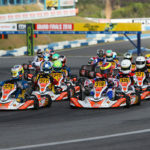 Pole man Mitchell Van Dijk lead the field into the first corner cleanly with all 36 karts making it through without issue. Already by turn 3 Van Dijk was signaling to Agustin Sepulveda to follow him to work together to pull away from the group behind. This worked until Douwe Dedecker had made his way through from 7th on the grid to the front pack. 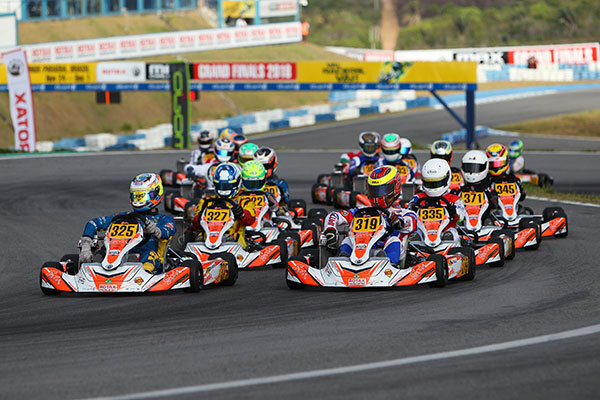 On Lap 6 he was close enough to take the lead from Van Dijk cleanly and his excitement to take the first win of the event was clear to see as he first pumped over the line. After contact on the last lap, the pole man Van Dijk then dropped down to the back of the field and finished eventually in 34th place. A new name topped the timesheet in NQ-Practice 7 for Mini MAX and it was Farin Megger with a 56.909. He was closely followed by Tomass Stolcermanis and Dani Van Ruiten. Qualifying – Farin Megger was able to back up his speed from the morning session and on Lap 4 put in a 56.784 that was quickest overall. Normally this would mean Pole Position, however three drivers were in fact penalised after the session for track limits which resulted in losing their 3 fastest lap times. This affected mostly the German Megger but also the driver that originally posted the 4th fastest time Ryota Horachi. 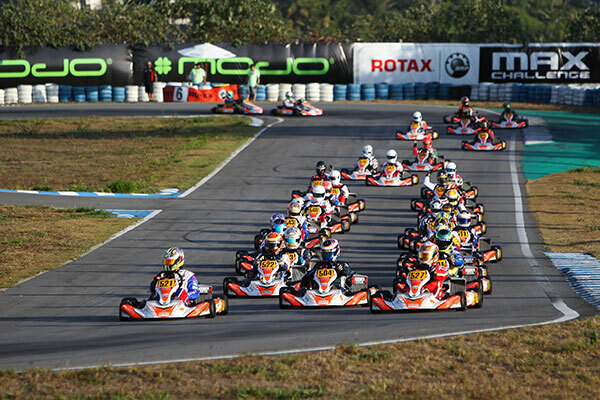 After penalties the Russian Iakov Sokolov took official pole with a 56.818 and the French drivers Evan Giltaire and Augustin Bernier were 2nd and 3rd. 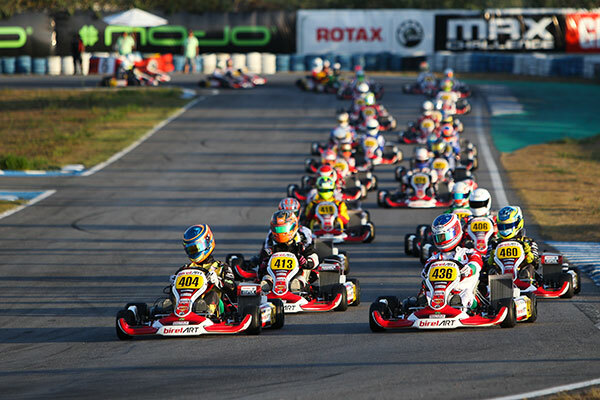 Heat 1 – The first heat race of the Mini MAX gave the German Farin Megger the chance to prove himself yet again and bounce straight back from his disappointment in qualifying. He moved up 4 spots to take the win followed closely by Evan Giltaire from France. The biggest mover in the top 10 was Dani Van Ruiten who moved up 8 positions from his starting position to finish 7th. 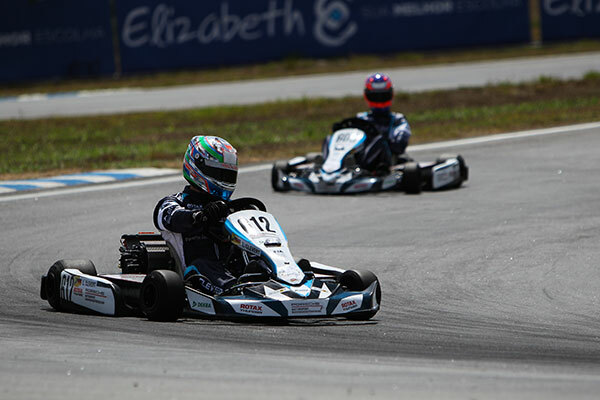 The French driver Esteban Masson (53.431) and the UAE racer Lachlan Robinson topped both of their NQ-Practice Sessions in the morning with the latter setting the faster time of 53.237. But with four other drivers all within the same tenth we would be looking forward to a very intense and close Qualifying. 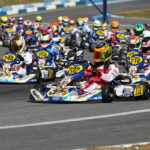 Qualifying – For Juniors there were 2 groups of Qualifying sessions. Everyone was watching the times closely to see the importance of both when the drivers set their fastest laps but also if the first or second group would be fastest. 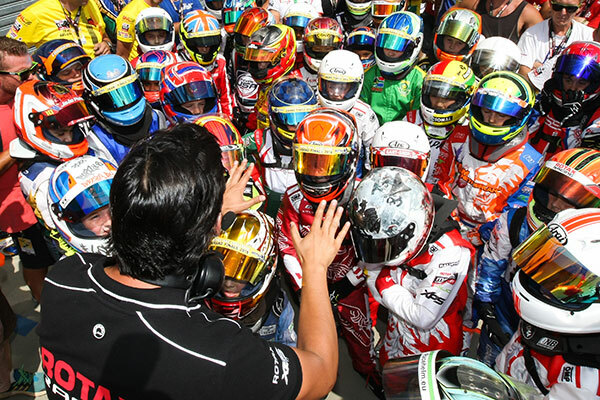 Samuel Harrison set the fastest lap (53.250) in the first session on track but the second group went out and the Top 18 drivers all went faster than this time which meant he would be P19 overall – although he would be moved up to P17 after some time penalties were applied. 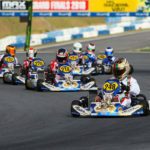 It was the Australian Jaiden Pope that put a lap in only 0.026 faster that his countryman William Seal, to gain the pole position overall for the class. Noel Leon completed the Top 3 but the time separating the whole field portrays what close hard fought racing the Juniors will provide throughout the competition. 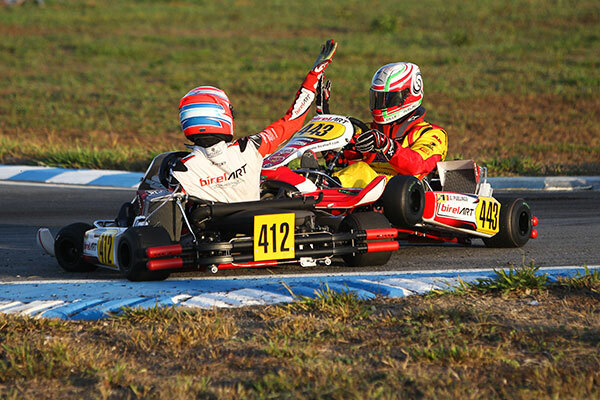 Heat 1 – A + B – Pope was able to back up his pole position with the first heat win of the day for the Juniors. 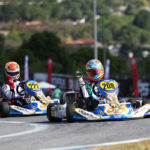 He pulled out what was a relatively safe gap of 1.586 from the pack by the finish of the race and lead home Thomas Nepveu from Canada and Lewis Gilbert (UK) who managed to move up 3 positions. Heat 1 – C +D – Noel Leon again had a lights to flag victory but it was perhaps a lot harder fought what with Robert De Haan crossing the line only 0.064 behind. 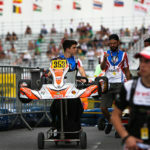 Lucas Bohdanoqicz moved up an impressive 9 positions to finish well within the top 10 in 7th position. In Senior MAX Zac Stitchbury from New Zealand was able to continue where he left off yesterday by posting the quickest time of 52.598 in the first of the two sessions. Also true to form though the second session provided a faster time with Senna Van Walstijn on a 52.356. 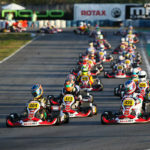 Qualifying – Unlike the Junior groups it was the first Odd group of Senior MAX karts that produced the overall Pole sitter Hannes Morin with a time of 52.035. This was 0.080 faster than Petr Bezel and the fastest driver the Jordanian Team have produced at the Grand Finals so far Manaf Hijjawi. In the second session on track, Senna Van Walstijn was fastest with a 52.363 but this was only fast enough to put him 9th overall when both groups were combined. Heat 1- A + B – The top 2 drivers in the first heat were able to also finish in order with Hannes Morin leading home Petr Bezel with a 0.181 gap. Sweden’s Jesper Sjoeberg fought his way up 4 positions to finish 3rd. 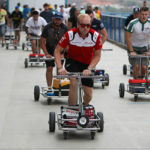 Heat 1 – C +D – The Pole man from Jordan dropped one position as he was beaten home by Mario Novak by over 2 tenths. Mark Kimber from the UK, which has a number of strong contenders in the Senior Class, moved up an impressive 7 positions to cross the line in 3rd. Nothing changed at the top of either group in Non-Qualifying Practice for the DD2 Masters as we saw the same protagonists that had showed pace all week. 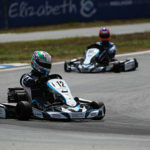 Matthew Hamilton (NZ) and Antti Ollikainen (FIN) were fastest but were separated by 2 tenths with Hamilton the quicker unlike after Tuesdays sessions. 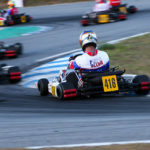 Qualifying – The Masters category was another class where a driver that set the fastest time in Qualifying did not get Pole position due to a track limits time penalty. Robert Pesevski from Austria had his fastest 3 last taken off him but still managed to get 4th overall with his 4th fastest lap time of 52.705. 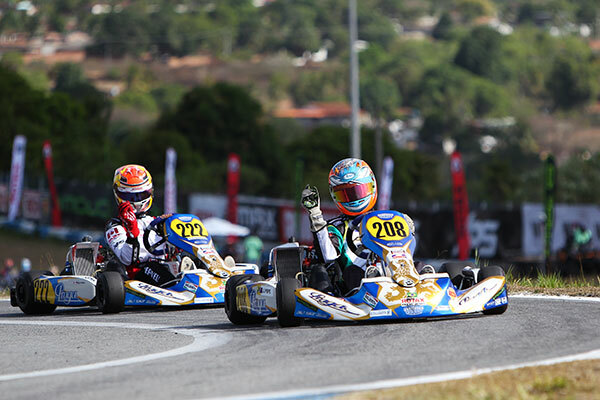 These moved up Both Cristiano Morgardo of South Africa and Matthew Hamilton of New Zealand to 1st and 2nd Overall. 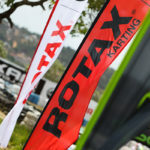 Heat 1 – A +B – The Masters class saw the first incident on Turn 1 of the meeting that affected a first row starter. Matthew Hamilton and Tommy Helfinger came together and dropped to the back of the field. 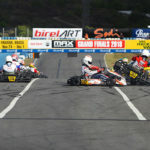 This allowed 4 Time Grand Final Champion Christiano Morgardo to lead most of the race before Fraser Hart and eventually Michael Stephen both took turns out front with the latter taking the win. 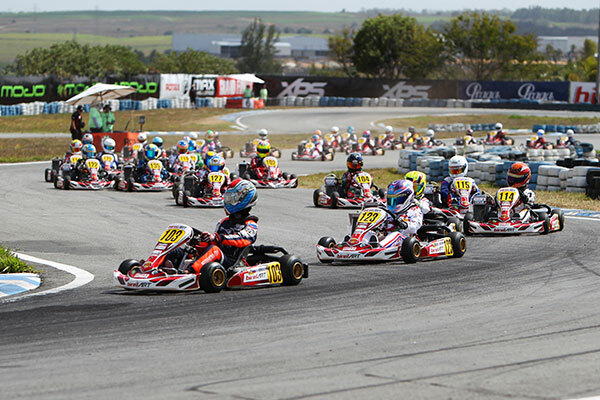 Heat 1 – C + D – Robert Pesevski fought back from his qualifying mishap and showed his race pace with a win in the second heat for the class. 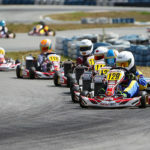 Finsland’s Antii Ollikainen and the home talent from Brazil, Fernando Guzzi followed him over the line. Qualifying – Kennedy was able to better his time in Official Qualifying by just over a tenth to claim fastest time and give himself Pole for all 3 of his heats. 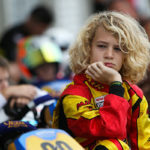 Italian Claudio Pagliarani was 0.111 behind him with Xen De Ruwe claiming 3rd. 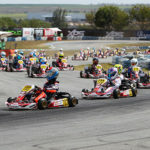 Heat 1 – A + B – Daniel Formal was able to improve on his 3rd starting position to win the first DD2 heat from Claudio Pagliarani and Ryan Wood. Pole sitter Ryan Kennedy fell down the order but finished in 4th. 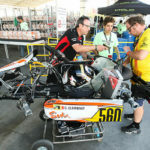 The electric Thunder Rotax karts took to the track for their second NQ-Practice but it was still Roberto Da Silveira from Brazil that showed he is the driver to watch by posting a 56.159. In fact he topped all of the NQ-Practices today and managed to improve his time finishing up with the fastest of the week so far at a 55.781. All in all it was an exciting but challenging day for all of the competitors today. 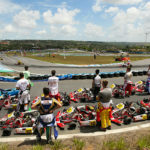 The drivers continue to love the experience of racing here in Brazil and also many spectators commentated on how thrilling and competitive watching the first day of competition had been. 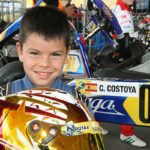 Tomorrow the heats continue for each class.